Quick do you need a pencil skirt? Do you have an hour…well guess what? Well you’re in luck! 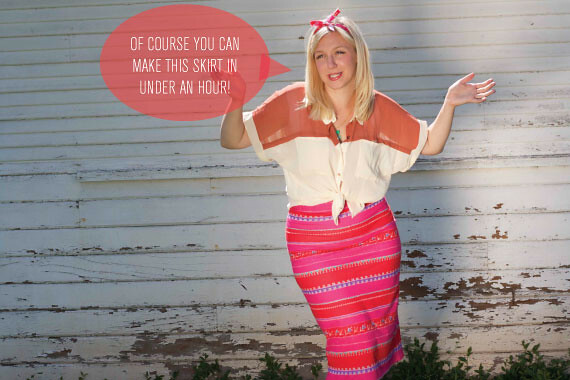 My girl Elle from Elle Keeps Moving has this FAB tutorial for a “10 Minute Pencil Skirt!” It’s so similar to how I made mine, that I thought I’d send you over! I think you totally need one as part of your Summer momiform, yes? You are too adorable, that is where Gigi gets it! Can I have, I mean borrow, that entire outfit? Yes. Please. Thanks. That shirt is so cute! You look so good. Stop it.